I trust you all have enjoyed your holidays and have taken a moment to rest from the strain and stress that comes with it. 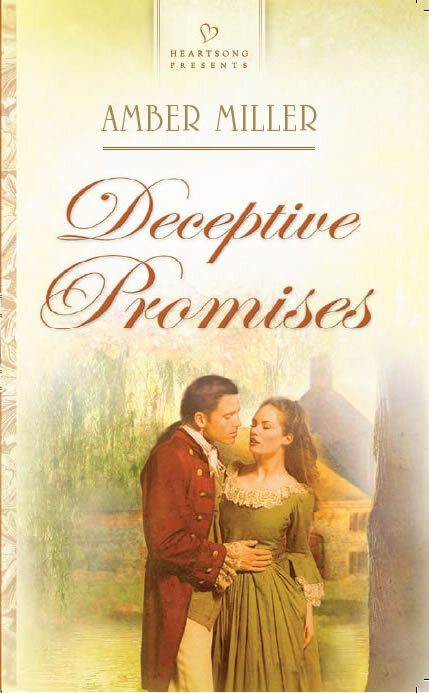 Amber Miller has been visiting us this week and today she’s stopping in one last time to share her latest release Deceptive Promises and sharing a bit about herself. Katrina: Thanks for stopping by Kat Logic again during this busy week. As an author, I know how tough it is to juggle the demands of a career and family. I also know what it’s like to somehow lose yourself in the process of taking care of everything/everyone else. How do you juggle everything and how do you unwind and take time for yourself? Amber: Right now, it’s not difficult, as it’s just hubby and me. But come March, it will be us plus a new baby. Ask me again when the baby arrives how I’m doing. 🙂 As for how I unwind, it’s usually with a movie or favorite TV show or later in the evening with a good book, curled up in bed or on the couch. Katrina: Congratulations on the new baby. I will keep you all in my prayers. Does your family read any of your work? Amber: My parents have, and so has my mother-in-law, 2 of hubby’s aunts and hubby’s grandmother. Other than that, I don’t know of anyone. Regardless, everyone is thrilled to know I’m an author, and they love sharing with their friends about me. Katrina: At what age did you realize you wanted to be an author and who influenced you? Katrina: Being that this is a Christian Author Tour, let me ask…at what age did you come to know the Lord personally and move from a head knowledge to a heart knowledge? How has your relationship with Him affected your writing? Amber: I was 7 years old, and I accepted Christ in children’s church one Sunday. The leader read a story about how Jesus is a friend who sticks closer than a brother. As my family had moved 3 times by then and I didn’t have a close friend, I decided I wanted that, so I asked Jesus into my life and haven’t turned my back on Him since. He has guided me every step of the way and opened doors where I thought there might not be a possibility. He’s also brought mentors into my life and provided opportunities for me to increase my skills as well as network in many areas. I turn my writing over to Him 100% and ask that He guide my fingers so the story being told is what those who read it need to hear. The end result is not a story of my making, but the Lord’s through my hands. It’s a true honor to be called to such a blessing of a career. Katrina: Where is your favorite place to write? Katrina: Tell our readers again just a bit about your latest release Deceptive Promises and where they can find it. Amber: Is deception fair in wartime? Margret Scott finds she must deal with this question as she becomes attracted to the enigmatic Samuel Lowe. As the tensions grow between the colonists and the British soldiers and loyalists, Margret struggles to determine where Samuel’s loyalties lie, despite his reassurances that they lie with the colonists. Samuel’s duties have him working for both sides of this war, and he is often torn between what is right and what is wrong. He promises Margret she can trust him, and Margret promises him she does. But can promises born in deception be trusted? Can relationships built in uncertainty survive? My latest release as well as my other books can always be found on my website. One final note….don’t forget we are taking nominations for 2009’s Most Influential Women to follow. The last nomination will be accepted Dec 31 midnight. To view the list of nominations, click here. Great interview, Amber & Kat. Amber, ‘Deceptive Promises’ sounds like a great read. Where can I get a copy? 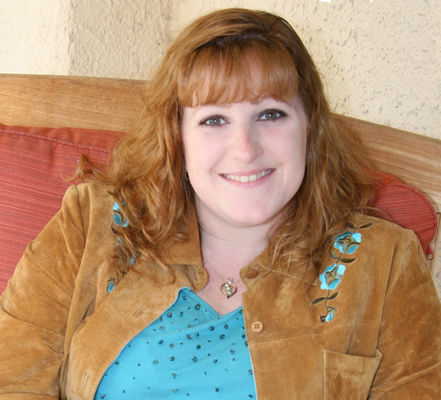 Hi Deb, you can find Amber’s latest release as well as her others at http://www.ambermiller.com . I’m sure you’ll enjoy Deceptive Promises and Amber would appreciate any feedback or reviews you could offer. Congrats on the itty bitty one coming Amber – I just had a new Grandson over the holiday. Woo-Hoo!!! And MOST BEST wishes for you writing career. Kat, Amber – nice interview, too. This book sounds wonderful. So glad to have had the chance to “meet you” this week, Amber! Joyce, thanks for the congrats. It’s an exciting time. And I hope the publishing world will be hearing a lot more about me too! Deb, Katrina already provided the link to my books. Let me know if you get a chance to read one. Would love to hear your feedback. Marvin, thanks for the congrats. Congrats to you on the new grandson. New babies are always a blessing and true joy. Lynn, it’s good to “meet” you as well. Thanks for stopping by.